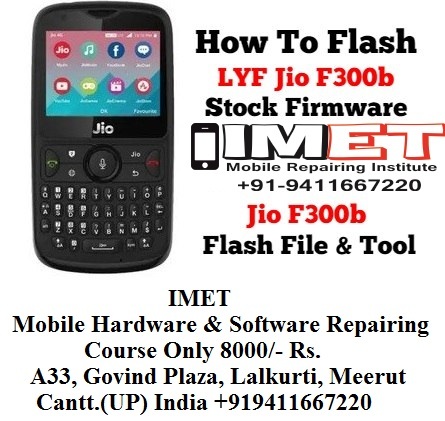 Flash Jio F300b Stock Firmware [Jio F300b Flash File & Tool]LYF Jio F300b ow to flash guide is here with Jio f81e flash file and tool. Here in this tutorial we are going to share complete step by step tutorial to flash firmware on Jio F300b mobile. If your device is bricked or stuck. 1- Download LYF F300b Flash file which consist of File, tool & Driver. Here your device may boot several time in between the process. Don’t stop the process. In the end of process disconnect your device and boot it normally.